Pearls Beach St. Andrews – Nice beach, bring lot’s of drinks, there aren’t any shops nearby. Conference Beach St. Andrew’s – Silver sand, fat pork, and sea grapes. Enjoy nature! 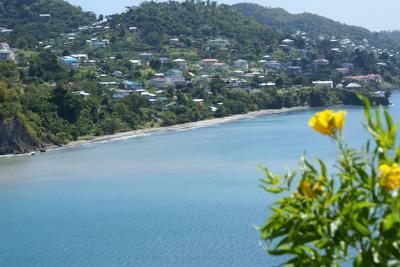 It’s so sad I live in England now, I miss these Grenada Beaches soo much. Yes Pandy is a beautifull beach not many people know about that beach so close to St George’s maybe not as easy to to get to. That’s a good list, a little different from the usually mentioned favorite Grenada beaches (with 2 exceptions). Sadly some of them are not as glorious as the once were. Take Pearls Beach for example, the sand mining has transformed it into a shadow of what it used to be. You said Sea Grapes and that transported me down memory lane.. if I you gave me a penny for every sea grape I ate, I would be a wealthy man today… LOL!!! Its a taste fruit that I realize many visitors don’t know about.